Well, to be fair, it is Andy and April's baseball card. 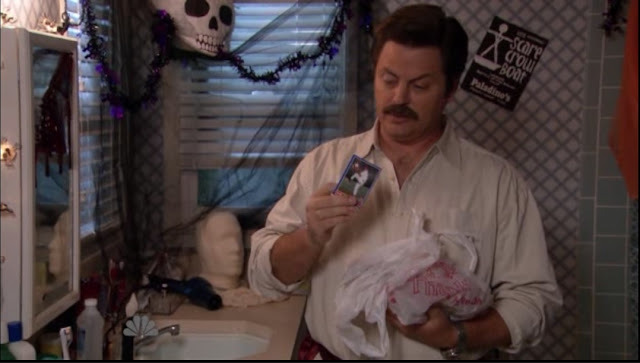 Thorzul recently posted about a quick little scene in Parks & Recreation's Halloween episode in which Ron Swanson goes through the contents of Andy and April's tool box/plastic bag. 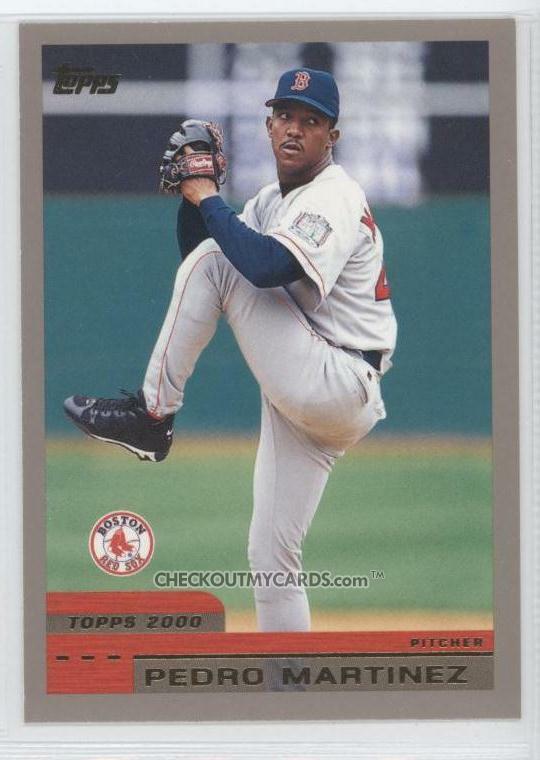 One of the items is a baseball card which is quickly shown to the camera. 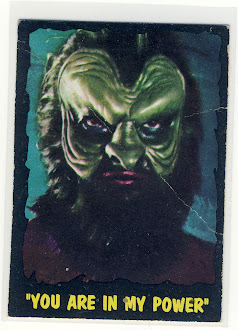 There has been much discussion on Thorzul Will Rule about which card it was that was shown and there have been several contenders that look like they could possibly be THE CARD. A leading candidate was Pedro Martinez's 2000 Topps #60. The blue border leads me to suspect the card in question was from the 2003 Topps set with it's bright blue design. 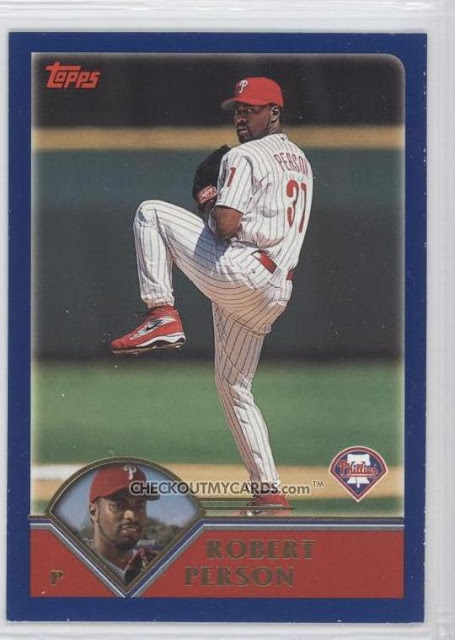 I took a look at all the cards available on COMC and came up with the theory that the card in question was 2003 Topps #242 of Robert Person of the Phillies. 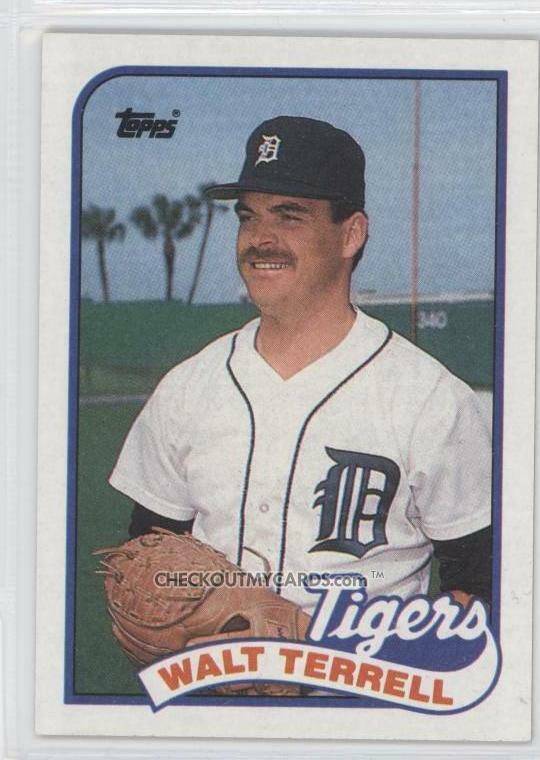 Robert Person...Ron Swanson...there seems to be a similarity in the name doesn't there? But my theory has some problems. 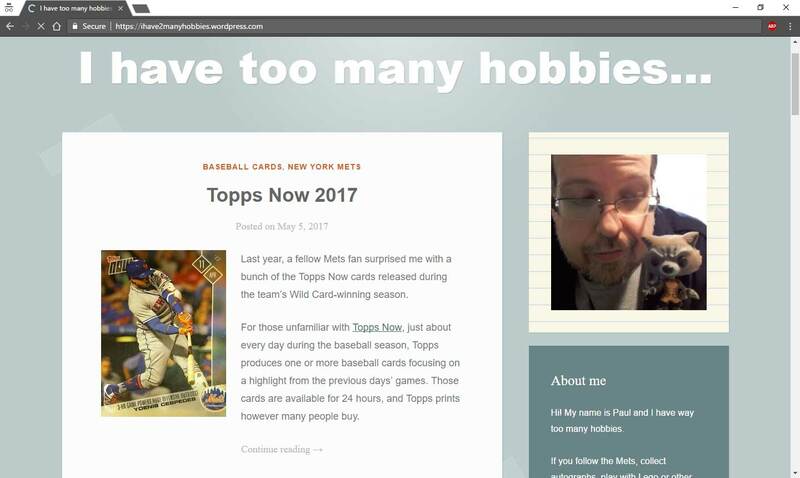 On the card Ron is holding there seems to be a lot more in the upper left corner of the card other than the Topps logo. So I was back to square one and decided to go to the source. The co-creator of Parks and Recreation is Michael Schur, who goes by the pen name Ken Tremendous on Twitter and when he wrote for Fire Joe Morgan. This evening I sent Ken Temendous a message asking if he could tell us which card was in the tool box? "The image was constructed by our art department for rights reasons. The back was a 1989 Topps Walt Terrell." 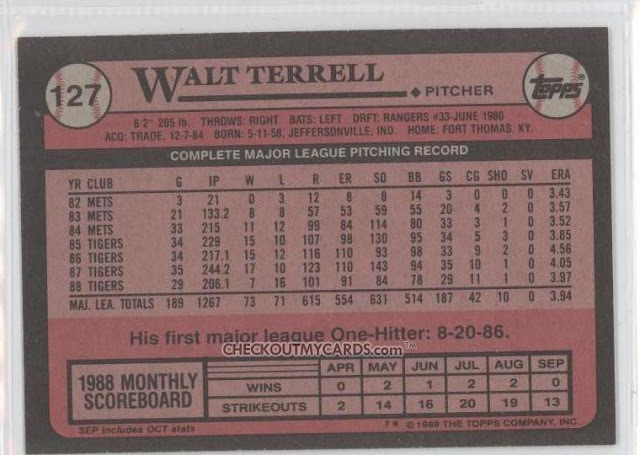 And so the great Ron Swanson's Card Search of 2011 can come to an end...there is no full card for all of us to track down a copy of but we can dig out our Walt Terrell cards from 1989 and wonder what possible use a baseball card would have in a tool box. They had to get the art somewhere and it looks like an Opening Day symbol to in the top corner to me. 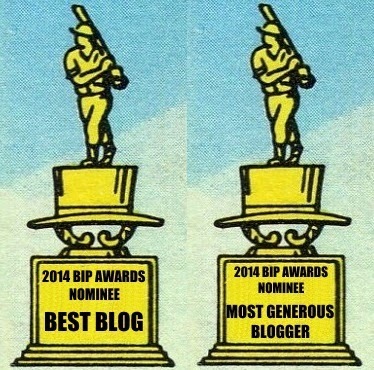 Great post -- Thanks for the closure. Hollywood must be really messed up if they needed to create their own card instead of just using some crappy existing common.